Sponsors and donors to SNECC are not responsible or liable for SNECC activities and events. Sponsors do not monitor, supervise, or control SNECC events and participants. SNECC is a 501(c)3 community organization which is grateful for the generous support of its sponsors, donors, and volunteers. 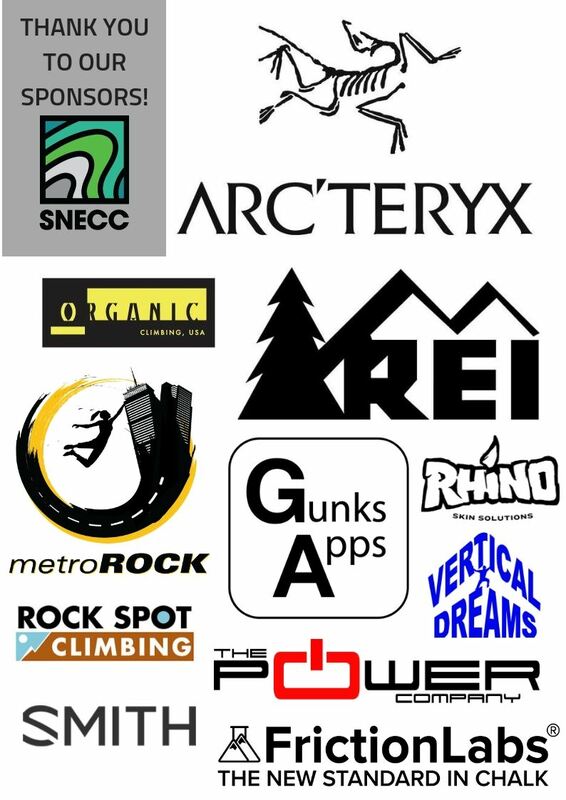 Southeast New England Climbers Coalition is a 501(c)3 non-profit organization based in Massachusetts.